Vehicles are expensive assets, and when you decide to buy a new or used car there are 5 important points to consider when purchasing a vehicle. Buying a car is exciting, but you need to keep your wits about you to move beyond the sales talk and get the best deals on wheels. Your knowledge is your armour, so be sure to approach the buying battle with brains. Used cars are often a more affordable option for car buyers. Buying a new car does buy you security, as the car won’t have any hidden glitches, but it also buys you a higher price tag when you could find a used vehicle of almost equal quality at a fraction of the price. If you do decide to buy a used model however, do your research into the service history of the car and also find out whether it has been in any accidents. Beware of very high mileages and make sure that the car won’t give you more trouble than what you paid for it. Remember, another benefit of buying a new car is that newer cars have better technologies and can often be more fuel efficient and cost effective in the long run. One of the factors that may help you to decide whether to buy a new or used car is your budget. 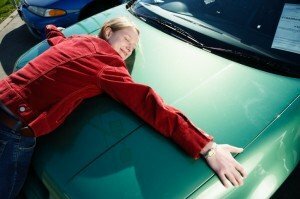 If you have the cash to splash, buying a new car means buying a car in the best possible condition. Once you have decided how much you can afford to spend and you know what kind of vehicle you want, it’s time to start looking at dealerships and private sales. Before you even consider buying anything, however, it is important to do your research to find out what you should be paying for the car you want – look at the prices on similar makes and models to what you are looking for so that you will know if you are being cheated out of your hard earned cash. Private sales may be shooting too high, and car dealers may try to intimidate or talk you into buying a car for more than it’s worth. If you think this is the case, don’t be afraid to negotiate your way into a better deal. Whether your vehicle in new or used, it is imperative that you test drive it to make sure that there are no unwelcome shakes, rattles and rolls. Even if your car is new, it is important that test drive it to see that you feel comfortable behind the wheel. All cars should be inspected, regardless of whether you bought it from a private owner or a dealership. Inspecting the car from top to tow bar is especially important for used vehicles. If you don’t know much about cars, bring along someone who does to check for any wear or damage that will give your problems or cost you money in the future. Having said that, if you are looking to buy a repossessed car from an auction, you will not be permitted to take the vehicle for a test drive. Not all dealers are born honest and it can be easy to hide certain imperfections and problems that can reveal themselves later. Car dealer fraud is a common occurrence, and some dealers will even try to sell newer used cars as new cars. When buying a car, use an accredited dealer to prevent fraudulent encounters. If you are buying a used car, make sure that you get a vehicle history report to find out about replacements and repairs of different car parts. You can also ask the owner or dealer about any repairs. Cars are one of the most dangerous modes of transportation, so safety is one of the most important criteria when choosing a car. This can not only save your own life, but the lives of your passengers and other drivers. Different cars have various safety features, ranging from Anti-Lock Braking Systems (ABS), to Cargo Barriers, Front and Rear Airbags and other technologies that may help reduce your risk of serious accidents and car crashes. Armed with this information, you can enjoy the process of buying a new or used car that you can drive with pride.